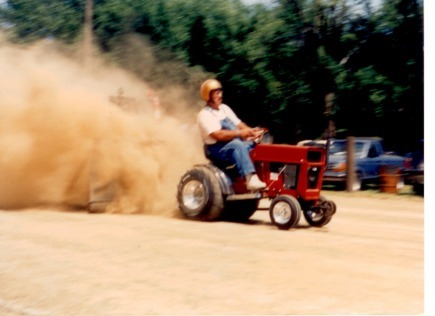 Larry Lewis was a huge part of tractor pulling in my area for years. He was a welder and fabricator by trade and could fix about anything with little to work with if need be. He always had a better way to fix or do things (his way), and his way was usually right. He taught us all alot about tractor pulling and life in general and we didn't realize the valuable education we were getting until he was gone. His son Jamie and him built their tractors from the ground up themselves and took alot of pride in doing so. Larry was always willing to help his fellow puller and friends. Larry Lewis is truely missed by many and will never be forgotten.